Sompo Japan Fire & Marine Insurance Company is the third largest insurance producer in Japan as well as one of the largest international insurance operations in the world. The company is currently active in Asia, Europe, Australia, and the Americas. The company was originally founded in 1887 under the name Tokyo Fire Insurance Company. After countless mergers and acquisitions over the course of the last 124 years, the company is now known simply as Sompo Japan Insurance, Inc.
Health insurance is a necessity that we all need. Begin by entering your zip code into our toolbox to being your search. The word “sompo” is the Japanese word meaning “property insurance.” It was an appropriate name when the company was founded because their only line of business was property coverage from fire. 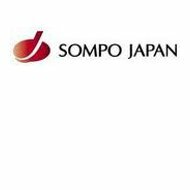 Today, Sompo Japan provides not only insurance products, but also annuities, securities, consumer financial services, asset management services, and even venture capital investing. They have grown from a small fire insurance company into a powerhouse of worldwide financial services. Interestingly, the company has also been named on several occasions as one of the most ethical companies in the world. That’s quite an accomplishment when you consider the general attitude most people have regarding their insurance providers. In the United States, the company operates under the name Sompo Japan Insurance Company of America. Despite their rather lengthy product list, they only offer auto, general liability, and workers compensation products in America. Therefore, the only health insurance benefits one might derive from having a Sompo Japan policy would be limited supplemental coverage provided by their workers compensation plans. This type of health insurance would be utilized only under certain conditions. First, the healthcare services covered must be provided as the result of a qualified injury incurred on the job. Secondly, the coverage would only kick in after the worker’s normal health insurance benefits were exhausted. The medical coverage offered by a workers’ compensation policy is by no means a substitute for standard health insurance. For the purposes of conducting business in the United States, Sompo Japan does not use independent agents or brokers in the strictest sense of the term. They do have partnerships with other American insurance companies, which helps to consolidate their services in North America. For example, claims service for their personal lines in America is handled by the Travelers. It is conceivable that because of this arrangement a policyholder could end up dealing with a Travelers agent for claims service or inquiries stemming from a Sompo Japan personal lines policy. All other claims are under the control of the regional office in Charlotte, North Carolina. The office is staffed with insurance professionals who were able to process claims quickly and accurately, 24/7. However, the nature of workers compensation claims dictates that they be handled according to the regulations of the state in which the accident occurred. This may complicate matters for policyholders in some states, thus delaying payment. Despite the fact that Sompo Japan is an international company, they must still file financial reports in the United States on a regular basis. Filings from the end of last year indicate that their American division is enjoying a stable financial position. Sompo Japan Insurance Company of America finished 2010 with working capital of approximately $5 million; their total assets were listed at $67.6 million and they claimed a policy surplus in excess of $61 million. Combined with the rest of the company’s worldwide assets you could be talking about numbers in the hundreds of billions of dollars. Standard & Poor’s downgraded Sompo Japan’s financial strength rating by one notch following the earthquake and tsunami that occurred earlier this year. S&P projected that total losses in the area of the damage could exceed some $12 billion, negatively affecting the assets of nine separate Japanese insurance companies. However, they were quick to note that the ratings would be revisited after claims had been paid out. They expected to be able to bring Sompo Japan’s rating back up without issue. Look for health insurance providers now by putting your zip code into the box. You will instantly receive quotes from providers in your area.